Yet birth sets the stage for early parenting, and trauma impacts both parents and the baby. What constitutes a good birth? Only the woman who went through it gets to determine the quality of her experience.The tone of voice used with her by care providers, whether she felt able to make choices, whether she felt safe…those things will impact her experience. A good birth is more than “two people breathing.” As Joanna Morehead writes in A Good Birth Experience Is More Than A Baby Being Delivered Alive. Partners or other support people present at the birth may need a chance to talk about what it was like for them as well. 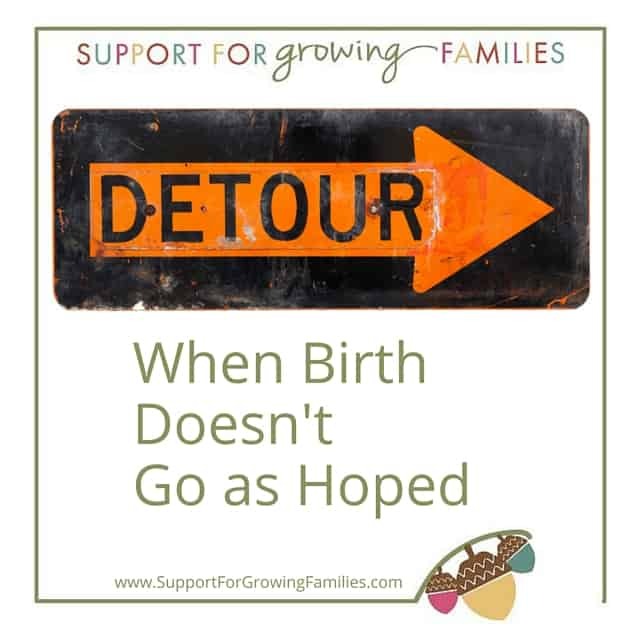 It is possible to fully recover from a birth that was hard or upsetting. For those of us on the listening end, it’s important to remember is that this wasn’t our birth–the feelings and experiences to focus on are the ones of the woman we are listening to. Even if we don’t understand why she feels the way she does, or if it’s hard to see her in pain, keep in mind these tips about what to say to a woman after a disappointing birth. On the other hand, don’t assume that something which would upset you made the birth disappointing or traumatic for this mother. For example, a woman may come to terms with a surgical birth and may even feel grateful that it was available when she needed it, for example, only to then have friends or family act like it was the worst thing that could have happened. For women who have gone through a birth that wasn’t what we’d hoped for, sometimes we need a dedicated space for talking it through. Seeing a counselor, even briefly, has helped many moms I know. See my Resource Guide for recommended counselors. If you don’t already have it, you can sign up to receive my resource guide on the lower right of any page on my website. There are also Birth Trauma Healing workshops available in Ann Arbor with local counselor Sierra Hillebrand. Parents can attend this workshop anytime from six weeks postpartum to decades later.